Ello, ello, ello to you my fellow Arsenal-supporting friends. It’s wet in London. Wet and windy and as I write today’s nonsensical ramblings I’m struggling to use my thumbs properly on the phone to type. I blame Brexit. And palm oil. And plastics. And Richard Scudamore. We go into this weekend looking for some kind of footballing sunshine and a trip up north to Huddersfield May not provide the literal stuff, but the metaphorical stuff – in the shape of three points – should certainly be obtainable and I’m just *emoji two hands together praying* that the team has enough to pick up our first Premier League points of the year away from home. Heck, we haven’t won away in the league since November, so if we want to maintain any kind of belief that we can get in to the Champions League by domestic qualification, away wins are absolutely vital right now. There can be no more “we’ve still got plenty of games” from the team or us fans. Simple put, it feels like every weekend is a ‘must win’ and this one is no different. And Unai Emery knows this, speaking about it yesterday in his presser, so there’s no use bleating on too much about it. Although something does have to change in his approach I think. He needs to be less pragmatic than he’s been and games like West Ham away a few weeks back stand out in that regard. Huddersfield are rock bottom of the league, they look like they’re in free fall and we need to take advantage of that by letting our technical superiority show. If, as Unai suggested yesterday Huddersfield press high, then we need to ply players with quick thinking and can get the ball from front to back quickly. What we don’t need is lethargic build up play from the back. Quick transitions are the order of the day and having our prolific strikers given balls in behind a high line. That just doesn’t seem to happen very much any more and if so dearly like us to see more of it. The good news is that hopefully Maitland-Niles is back and given what an absolute travesty it was seeing Lichtsteiner bumble around the pitch against Man City last weekend, I’m just hopeful that he makes it in to the first team for the weekend. I’m also crossing my fingers that we’ll go four at the back but as usual Unai was giving nothing away yesterday. He talked up winning with two centre halves, losing with two, winning with three and losing with three and with the way we’ve lined up this season at least we know Huddersfield will have little idea as to how we’re going to line up. I just hope that there’s an element of desperation to our play because I think there needs to be. We need to see an Arsenal team looking like it’s fighting for its life because I suspect we’ll get the same from Huddersfield. If we show the same limp performance as we did against City and West Ham then we’re in a whole world of trouble. Whether or not we try out Suarez will also be interesting but at this stage, with the form of Iwobi, I’d be willing to try anything than to see him on the team sheet right now. I’ve said before and I’ll say it again: we all want him to be successful but at this point and at 23 years of age surely his time is coming to an end unless he drastically improves? He was woeful last weekend and yet the manager keeps insisting on his inclusion from the start. 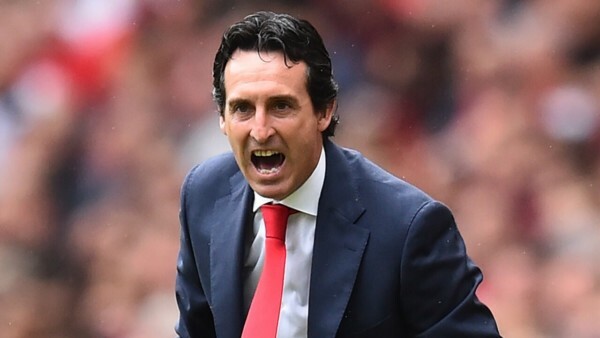 Well Unai, you’ve got one of your own players in in the shape of Suarez, so let’s see what he can do. And that’s really all I gots to say about that today. Have a good one wherever you are and keep it Arsenal.